Continuously track your country's progress toward the UN's Sustainable Development Goals, map your initiatives to SDG targets, and show how your government is contributing to Agenda 2030 — all in a single place. In September 2015, 193 countries signed Agenda 2030, with a list of 17 goals that the world agreed to pursue. Six months later, the United Nations Statistical Commission created a preliminary SDG indicator framework, breaking these 17 goals into 230 indicators. The indicator framework is not the end of the story – on the contrary, it is the beginning. 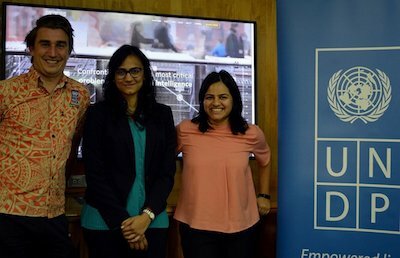 Since then, each UN country team has been working with their local government to contextualize the global SDG indicators — creating a custom set of SDG indicators for each country, based on its needs, available data, and local context. This is still in progress around the world. After these national frameworks are closed, states around the world will have to further contextualize and customize their national frameworks. Then, most importantly, each government will have to figure out how to get the data it needs to track its unique framework. 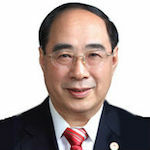 The SDG indicators will require an unprecedented amount of data to be produced and analysed — and it is evident that this will pose a significant challenge for national statistical systems, in developing as well as developed countries. 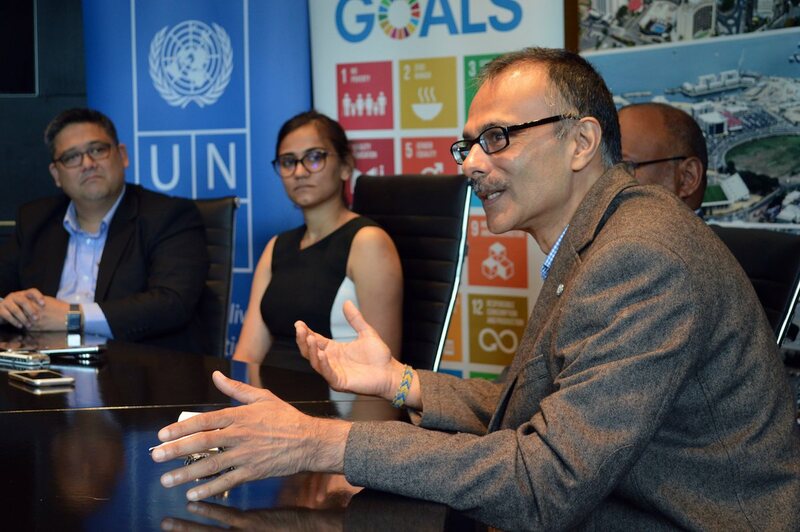 We worked with the United Nations Development Programme and the Government of India for a full year to develop a strategic framework for tracking and measuring the Sustainable Development Goals. Now we're taking it to the world to help every government — from the national to district level — jumpstart their development and achieve Agenda 2030. 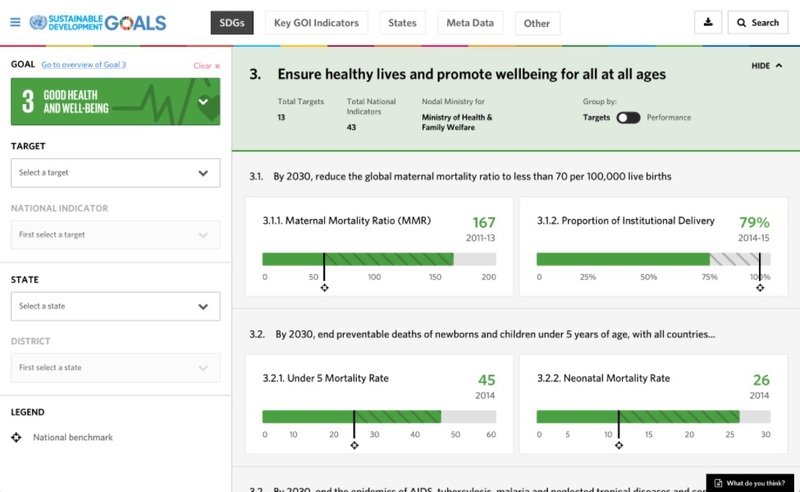 Sync the global SDG framework with your pre-existing initiatives, then get the data you need to see if your country is on track for achieving Agenda 2030. 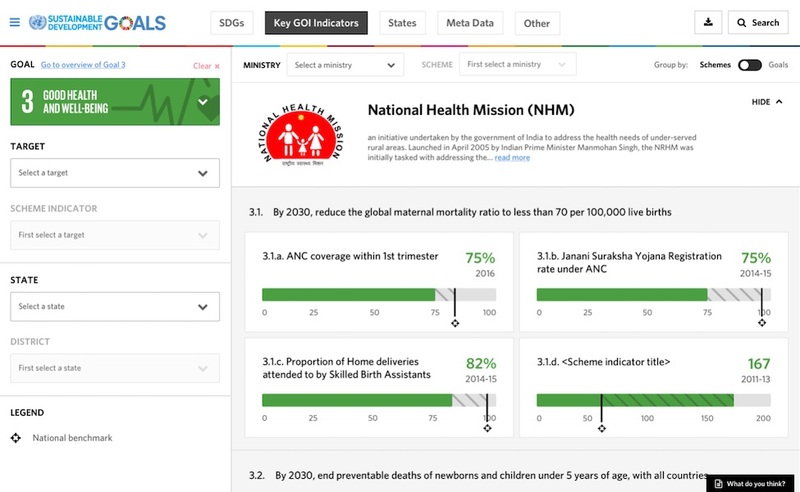 Contextualize the national SDG framework to your state's priorities, get granular data on your progress, and identify how your state can jumpstart SDG progress. Create a custom, granular SDG framework for your district, and identify how your district's work is contributing to national and global SDG progress. Interested in taking our solution for a spin? Chat with us and check out what we've built. We work with local governments and all relevant stakeholders to understand any programs relevant to the SDGs. We use our deep SDG knowledge to contextualize global or national SDG frameworks to your local context and programs. We dive deep into your custom SDG framework, mapping targets to indicators to data sources to your daily decisions. Once we've settled on your custom framework, we connect our platform to your existing databases and MIS systems. Our platform sources, analyzes and visualizes all relevant data to show your government's progress on the SDGs. To ensure this solution is effective, we train stakeholders on our platform to help them effectively act on the data. 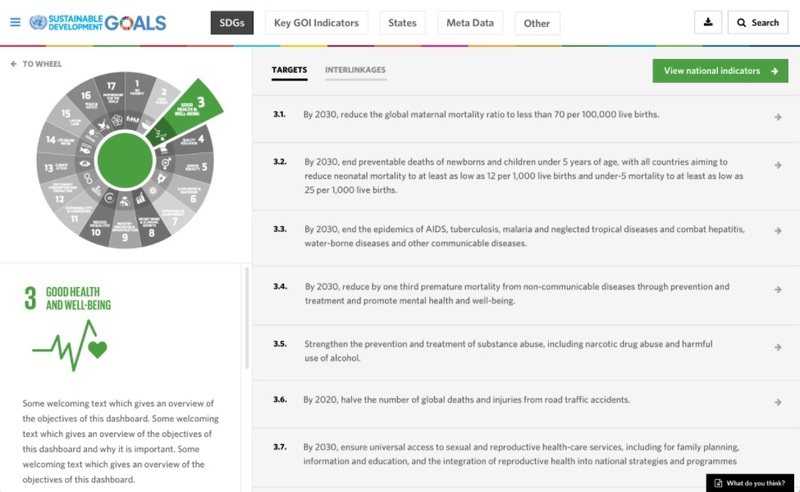 The main view for each SDG shows an overview of the goal's targets and details on how this goal is linked to other goals. The next screen shows a view of all targets measured against national benchmarks, including state and district filters. 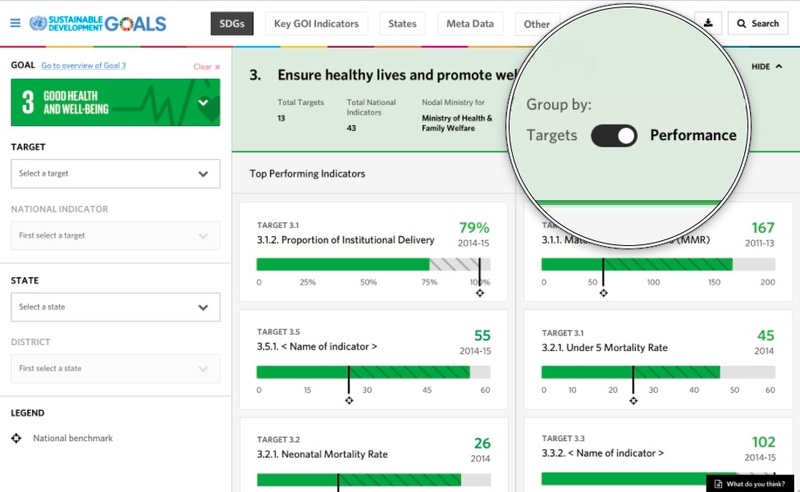 SDG targets can be sorted by performance to easily identify which targets are lagging and need more focus or funding. Filtering by target shows a deep dive into indicators for each target, disaggregated by time, social strata, location, and more. Clicking on any indicator shows a map view, where users can compare indicators across a region or further filter by time period. We worked with in partnership with the UN Resident Coordinator's Office (India) for a full year to build this solution. 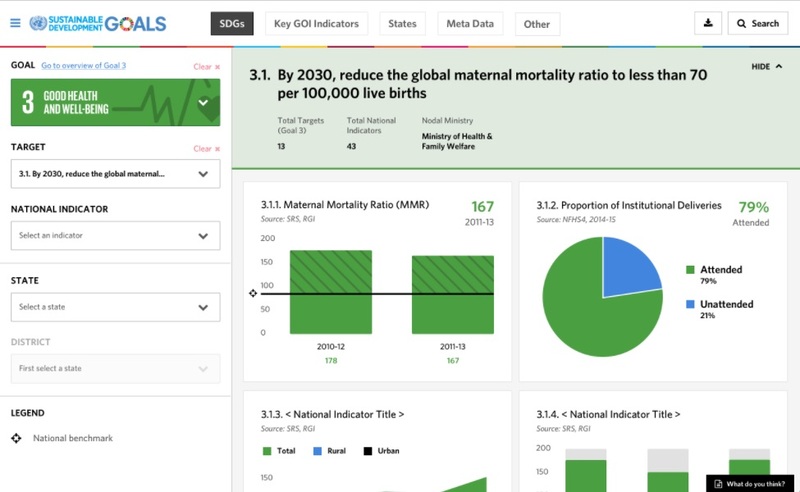 Numerous rounds of consultation, testing and design iteration with UN agencies and stakeholders from around the world helped us develop a custom visual framework just for tracking and measuring SDGs. Our solution is highly detailed with nested levels and methods of analysis, all while being incredibly simple to learn and use on a daily basis. We worked with in partnership with the UN Resident Coordinator's Office in India for a full year to build this solution. Data for SDG indicators is often out of date. To get better insight on SDG progress, we map existing program data to relevant SDG targets. 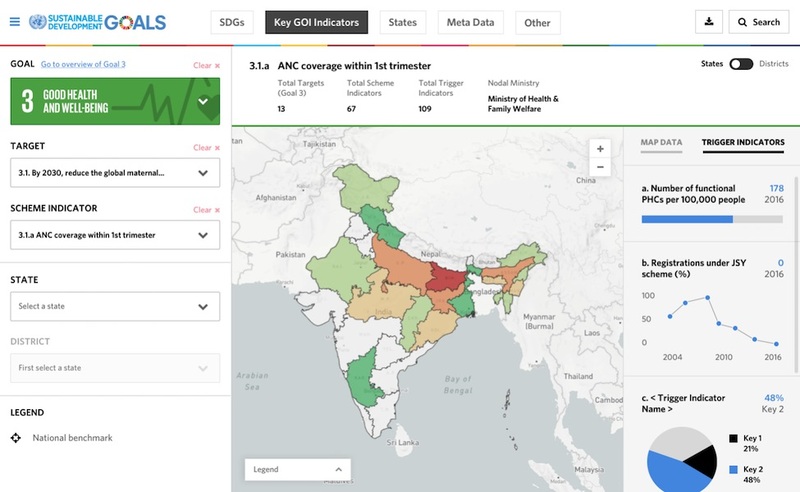 We then pair map-based comparisons with trigger indicators, which shows exactly where and how you need to act to jumpstart SDG progress. Want to learn more or see this dashboard in action? 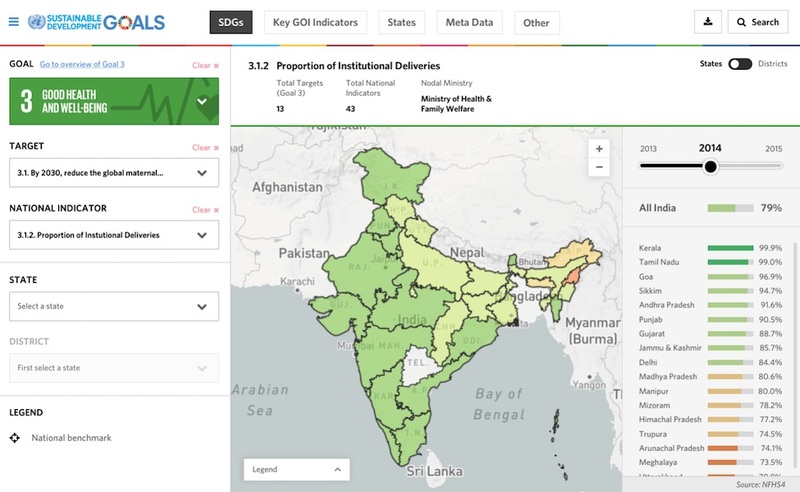 Check out our 5-minute video demo, where we walk through all major aspects of our dashboard for the United Nations Development Programme, India.